After all these years of Game of Thrones, it feels like we’ve become experts in a fictional world. We know our Dothraki from our Dornish neighbors and our Tullys from our Tyrells. The show – and the books that inspired it – has created a complicated world with a rich, messy history and complicated politics as much as the real world. While some of these groups have been name-dropped often, one is only mentioned occasionally, and not very clearly: the Andals. Who are these people, and why are they so important to the story we’re following? Essentially, the Andals are the ancestors of most of the modern-day inhabitants of Westeros. According to Thrones lore, the Andals migrated from Essos to Westeros, supposedly after seeing visions of their god, and conquered most of the inhabitants there (aka the “First Men”). They intermarried with the First Men, and in the era in which Game of Thrones is set, the descendants of Andals are the dominant racial, linguistic, and cultural group. The majority of characters in GOT, then, are of Andal descent and follow Andal cultural customs. There are a couple of significant regions where the influence and bloodlines of the Andals never quite reached. The North – that is, the region of the Starks of Winterfell and the Night’s Watch – was never conquered, so the gene pool of Northerners remains heavily First Men, rather than Andal. Similarly, Dorne was part of the Andal conquest but had a different culture, since so many of the Andals intermarried with eastern Essos refugees and created their own unique kingdom. On Game of Thrones, the term “Andal” is only used occasionally, and mostly in historical exposition. However, it’s been used to identify one character in particular. 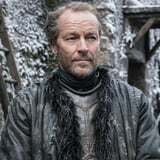 Jorah Mormont, an exiled Northern lord who pledges loyalty to Daenerys, is sometimes called “Jorah the Andal” by the Dothraki, who lump together all Westerosi with that moniker. Ironically, Jorah is from the North, which means he’s actually descended more from the First Men than the Andals, but the nomenclature goes to show just how much the culture of the Andals has become associated as the default of all of Westeros.